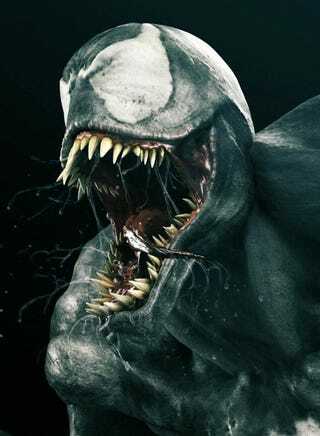 Seabiscuit director and Spider-Man 4 scribe Gary Ross is going to direct the Venom screenplay. But here's the twist: Venom will now be portrayed as an anti-hero... with heart. If Venom is going to be, as the trades describe it, "transformed into an anti-hero who becomes a defender of the innocent," then this will most likely be borrowing from Venom's solo titles. Still, was the character of Eddie Brock, as set up in the last Spider-Man, enough to merit his own film? Especially if Columbia Pictures recasts the role, which originally starred Topher Grace. And there's been quite a bit of speculation that they will recast, since Topher is not a "tent-pole" actor. We'll have to wait to see what Gary Ross does, but right now he's busy rewriting the script for the third time. Plus we still have another Spider-Man film to get through, before this film is ready to be made.